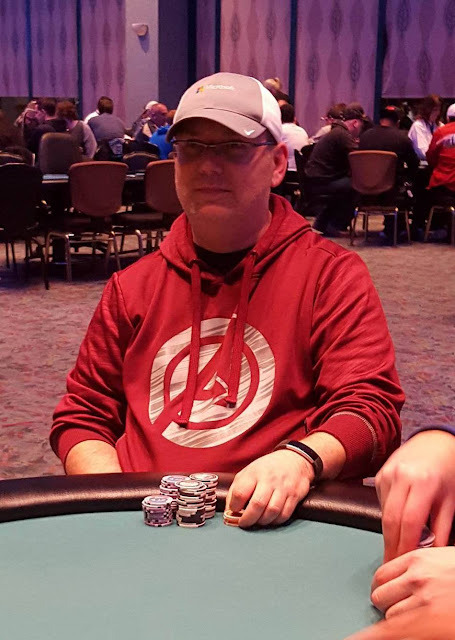 We are down to the final 39 players, which means play has concluded for the night, and all 39 players have made both Day 2, as well as the money. Chip counts from this flight will be posted as soon as available. Nick McDonald has played extremely patiently. 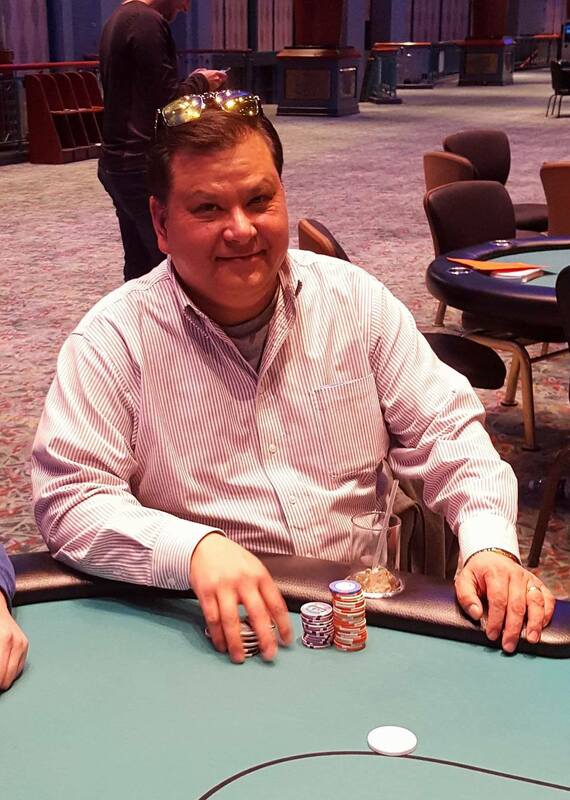 He was down to two big blinds when he picked up aces and was called by an opponent's pocket fours. The board ran out [kh][jd][10h][2d][qs], granting McDonald the double. We are now hand for hand on the money bubble. The flop comes [kd][js][9c], giving Wasserman a set of kings. Unfortunately for his opponent, the [7c] turn and [5d] river did not improve his hand, and Wasserman is awarded a full double up. All remaining players are now in the money. 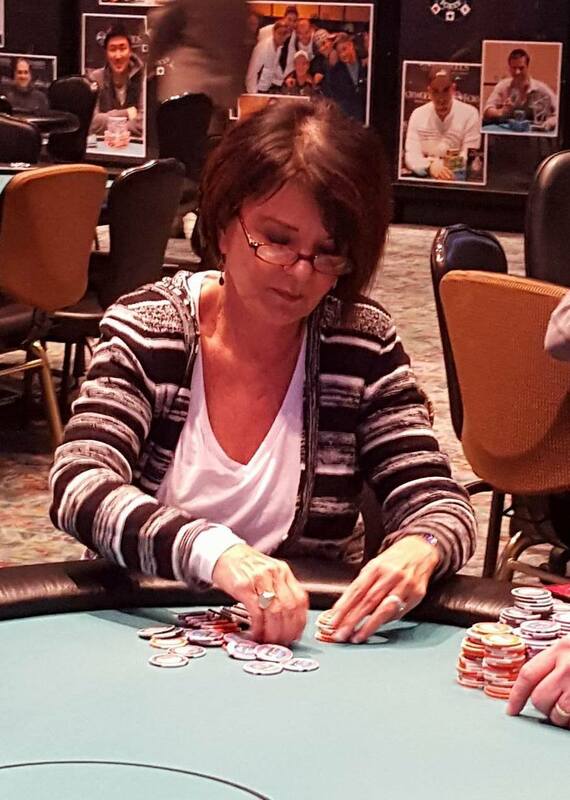 On a board reading [js][9d][ac], Marguerite Meyerson shoves all in for her remaining 7,700, and James George calls. George: [jc][jd][10s][8c] (set of jacks. 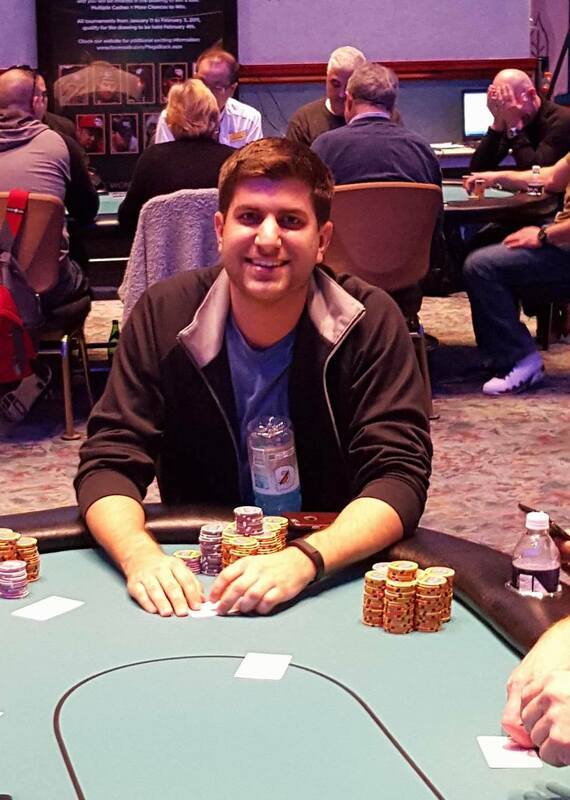 The [6s] on the turn gives George a gut-shot straight draw, but also gives Meyerson a flush draw. The [7s] on the river brings the straight for George, but also the flush for Meyerson awarding her a full double up. 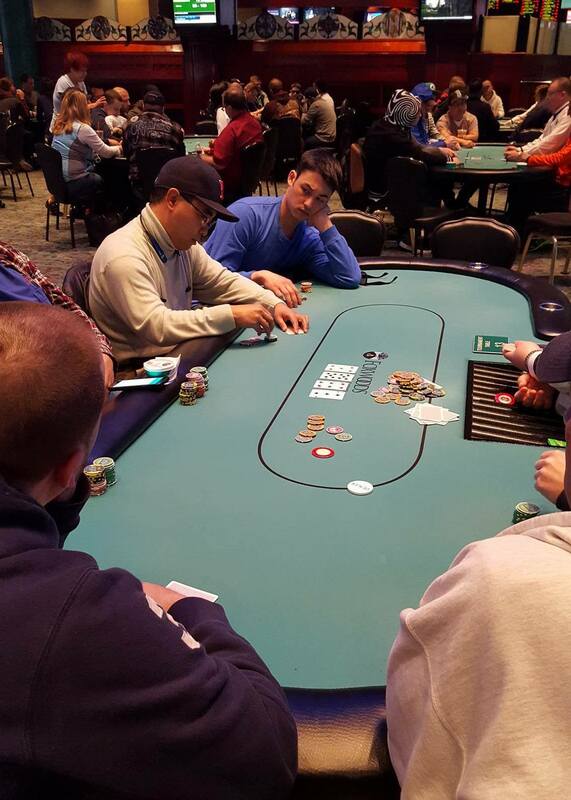 A player in early position shoves all in. Action folds to Jess Fanguhan in the small blind who shoves all in for slightly more. The big blind folds. The board runs out [js][jc][7h][8c][9d], awarding Fanguhan nearly a full double up. A player in early position bets 5,000. Action folds to the cutoff who shoves all in. Ronald Dalgo calls the all in on the button, and the original raiser folds. The [kh] comes in the window, but unfortunately for the player in the cutoff, right behind it was the [6d] and the [7d], giving Dalgo a set. The [10s] turn and [4s] river did not improve the player's hand, and he is eliminated from play. 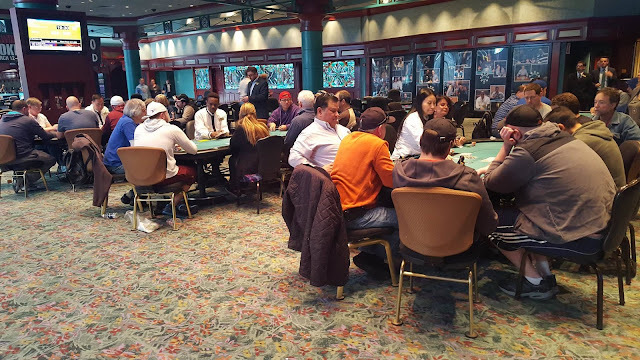 The remaining 80 players are now on a 60 minute dinner break. They will return in 60 minutes to play Level 14 (1,000/2,000 with a 300 ante), and they will play down to 39 players tonight. On a board reading [ad][9c][9s], Kyle U. checks in early position and Daniel Wright on the button bets 9,000. Kyle pauses for a moment before announcing that he is all in. Wright quickly calls and asks, "Do you have ace king?" Kyle nods yes, and Wright says, "I am so screwed." 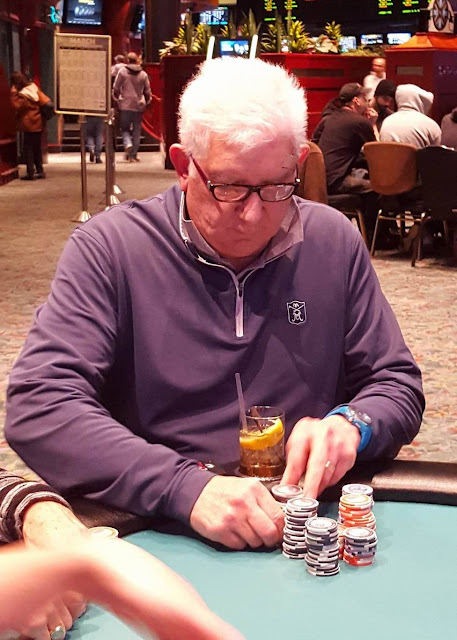 Unfortunately for Wright, the [qd] turn and [jd] river do not improve his hand, and he is eliminated from play. 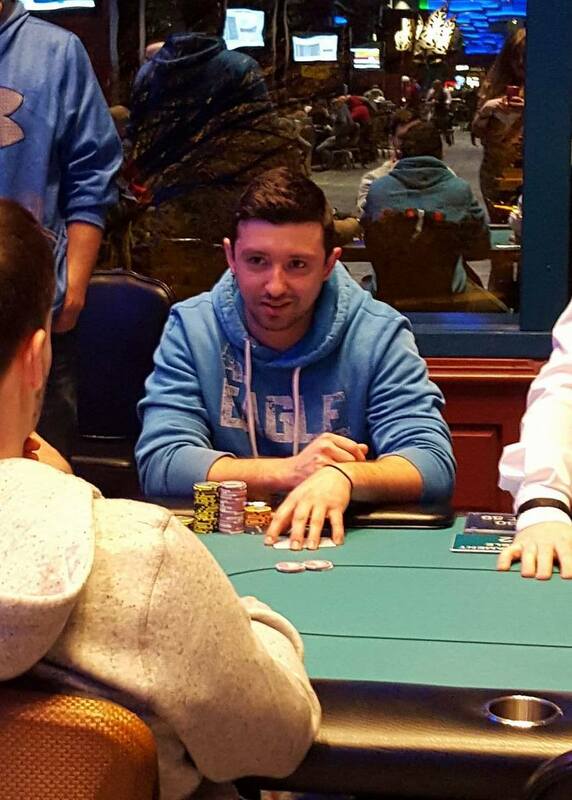 "I just didn't know what he was betting the flop with," Kyle says as he starts stacking his newly acquired chips. He is now sitting with 155,000. 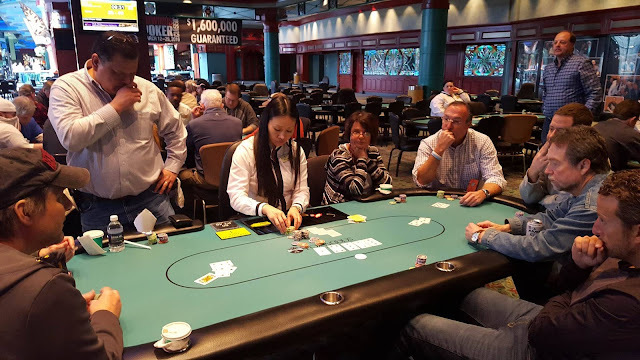 There were a total of 42 entries in today's $300 PLOHi/Lo Event. Level 9 has just begun, and that means registration has officially closed. 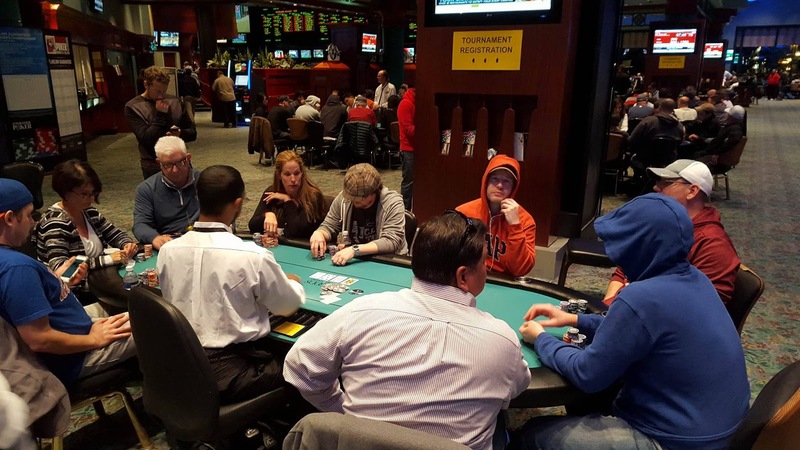 A total of 319 players entered this second of three starting flights. Players in this flight will play down to 39 tonight, and all of those remaining players will enter Day 2 on Tuesday in the money. At the present moment, 201 of the original 319 players remain. On a board reading [3s][3h][2d], both blinds check, and Tom Westort bets 200 from under the gun. A player in middle position calls, as do both of the blinds. When the turn comes the [4s], both blinds check once again, and Westort bets 750. The player in middle position calls, as do both blinds. The river is the [ad]. The blinds both check for a third time and Westort bets 3,300. The player in middle position calls, the small blind folds, and the big blind tanks. After a minute of thinking, the big blind hesitantly calls the bet. "Nut low, and the lowest boat," Westort says as he turns over [jd][5d][2c][2h]. The player in the big blind mucks his cards, and the player in middle position turns over [8c][7d][5c][3c] for the same low, good for a quarter of the pot. Westort is now sitting with 17,000 from a 10,000 starting stack. On a board reading [10s][6h][3s][5d], Morgan Litwin shoves all in from the small blind, and Phi Thanh Nguyen in middle position, goes into the tank. After nearly two minutes of thinking about his decision, Nguyen hesitantly releases his hand. Litwin shows [6s][6d], having flopped a set of sixes. 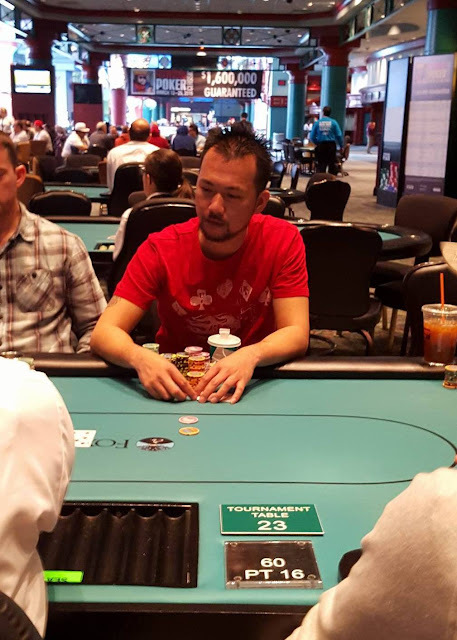 Even five minutes after the hand is over, the table continues to talk about the texture of the board, and the Nguyen's decision to fold. Nguyen didn't show his cards, but said that he folded two pair. 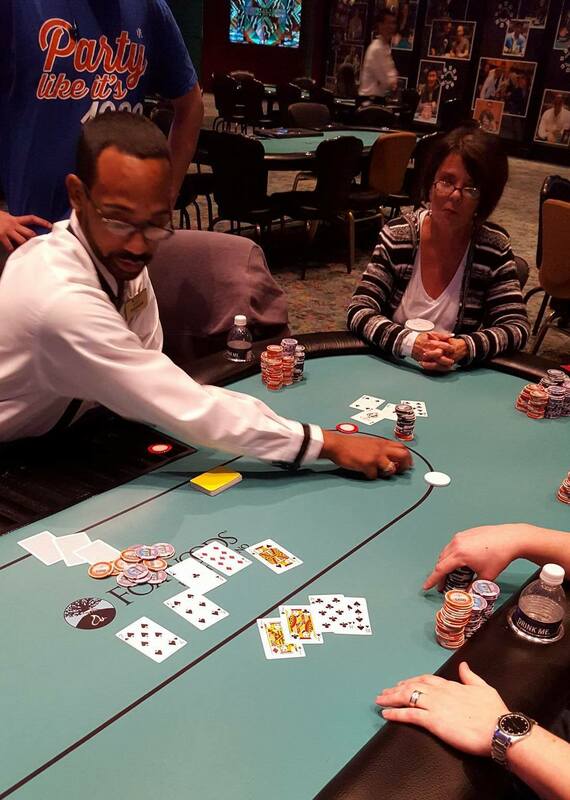 Another player said he had folded jacks on the flop. On a board reading [9s][7d][3s][6c], Nick McDonald bets 575 in the hijack, and the player in the cutoff raises to 1,525. McDonald smooth-calls the raise. McDonald leads for 2,200 when the river comes the [4c]. His opponent goes into the tank, and eventually mucks his hand. McDonald is now sitting with 24,000 in chips. Less than five minutes into our second of three flights, we have already lost our first player, and they are headed to the cage to re-buy. Yesterday, Flight #1A saw 335 runners, with 41 of them making it through to Day 2 (and thus, into the money). The third and final flight will be tomorrow at 11am. With Day 2 play on Tuesday March 15th at noon Eastern time. As a reminder, players are allowed to enter/re-enter until the beginning of Level 9. ALL DAY ONES WILL PLAY DOWN TO APPROXIMATELY 12% OF THE FIELD. 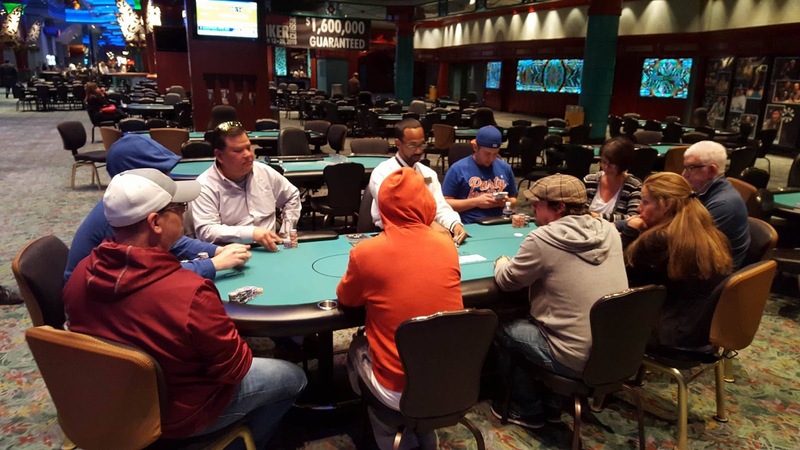 ALL PLAYERS THAT MAKE IT TO DAY TWO WILL RETURN IN THE MONEY ON TUESDAY, MARCH 15 AT 12PM.